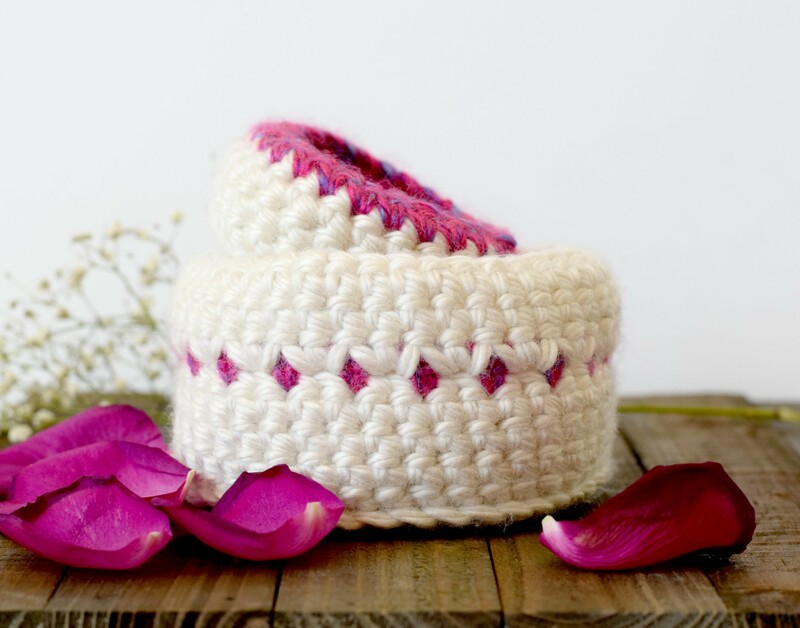 Hi, this is Jessica from Mama In A Stitch blog  and today I want to share with you a couple of crocheted baskets! Between spring cleaning and Easter, baskets are a “must have” in my house. 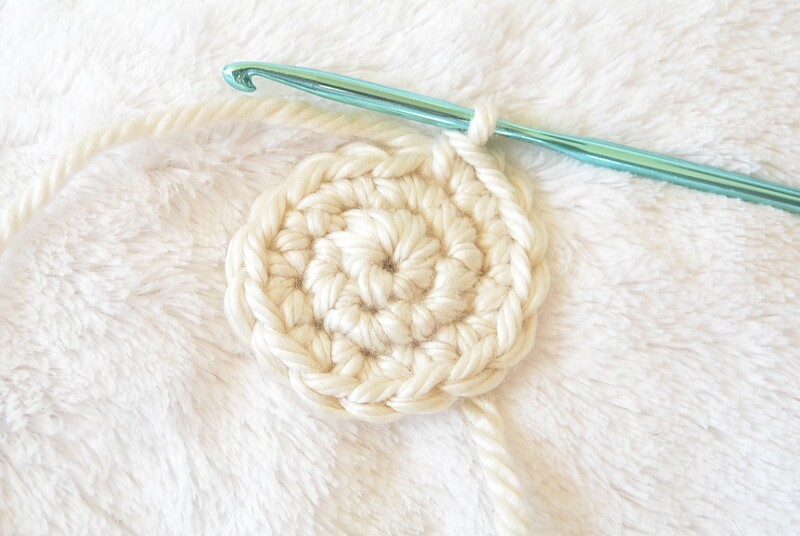 I’ve crocheted some baskets in the past, but I wanted to make these light and bright for a fresh “spring” look. These baskets work will for a few things, but I really love to keep them in the bathroom to throw my rings and other jewelry into. Sometimes I keep cotton balls in the larger basket and cotton swabs in the small one. These would be an awesome alternative for a teen’s Easter basket! The baskets are not super stiff, so they are easy to fold down in case you ever just want to store them away. 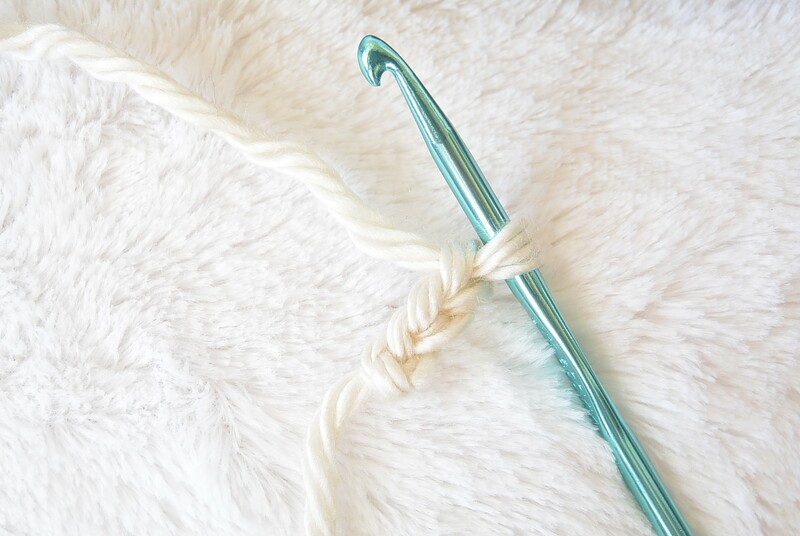 You should be comfortable with single crochet, sc in front loop only, crocheting in the round and basic color changes. If you’ve got those skills down, you are good to go with these baskets! Large basket measures approximately 5” wide (diameter), 3” tall. Small basket is approximately 3.5” wide and 2” tall. 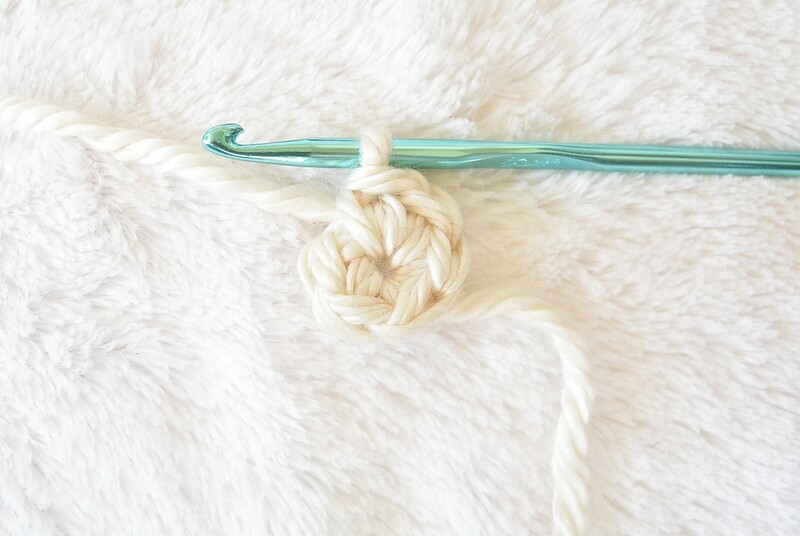 This is an example of what it looks like to crochet in the front loop only. See how the hook goes only through the front loop? This is how you will begin the sides. 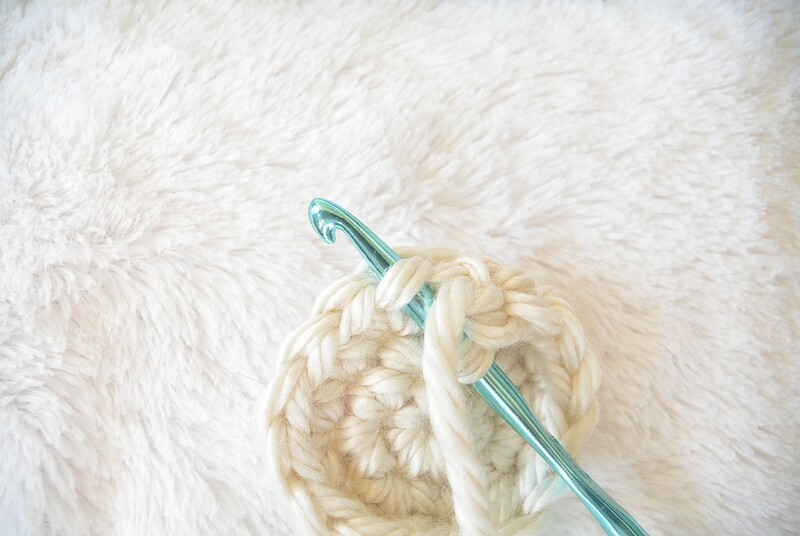 Once entire basket measures approximately 2 ¾ “ to 3” tall, skip stitch, slip stitch to join, tie off and weave in all ends. 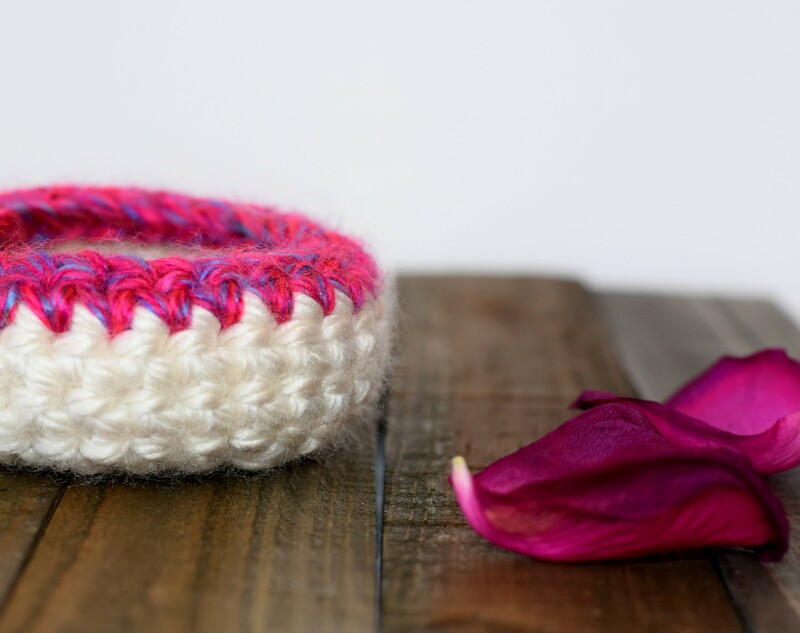 Final Round – Change color to pink, sc around, slip stitch to join, tie off and weave in ends. Happy spring to you and yours, and I hope you enjoy the baskets! 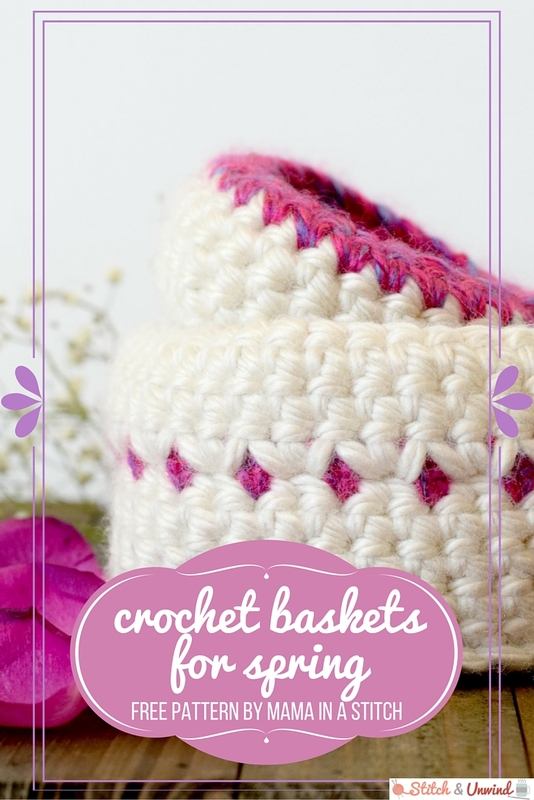 : https://reddit.com/submit?url=https://www.stitchandunwind.com/guest-post-crochet-baskets-for-spring-by-mama-in-a-stitch/&title=Guest Post: Crochet Baskets for Spring by Mama in a Stitch!